By the Master is to be covered all, whatever moving thing there is in the world. By this renouncing thou shalt enjoy; nor grudge to any man his wealth. Even fulfilling all works here, let him will to live a hundred years. Thus for thee and not otherwise is it, nor do works stain the real man. Sunless verily are those worlds, in blind darkness wrapped. Them they come to on going forth, whatsoever people withstand the Self. Striving not, that One goes swifter than mind. This the bright ones reached not; it went before them. This, standing still, outstrips the others running. In this the Great Breath fixes the waters. This moves; this moves sot. This is afar; this is near at hand. This is within all that is; this is without all that is. And he who, verily, beholds all beings in the Self, and beholds the Self in all beings, thereafter blames none any more. In whom the Self has become all beings through wisdom,—what delusion, what grief is there, for him beholding oneness only? He circled round the bright, bodiless, unscarred, substance-less, the pure, stainless formed. This wise Seer, the circling lord, the self-being, ordained according to fitness through the ages. They go forth into blind darkness who follow after unwisdom; they go, as it were, into greater darkness, who find their delight in wisdom. One thing, they say, comes through wisdom; Another thing, they say, comes through unwisdom. Thus have we heard from the seers, who revealed this unto us. He, verily, who has understood wisdom and unwisdom both,—through unwisdom crossing over death, through wisdom reaches the immortal. One thing, they say, comes through the living; Another thing, they say, comes through the lifeless. Thus have we heard from the seers, who revealed this unto us. He, verily, who has understood the living and destruction both,—through destruction crossing over death, through the living reaches the immortal. By a shining veil the face of the Real is hidden; do thou, Sun, uplift it, for the beholding of the Real’s law. Sun, only Seer, Compellor, Light, Son of the Lord of beings, marshal thy rays and gather them together. That Radiance of thine, that fairest form,—I behold; it is thy Spirit, and that am I. This breath of mine rises to the Fire; and to the Immortal this perishable body. O Sacrifice remember,—what thou hast done remember! O Fire, lead us by the good path to the Treasure; thou bright one, who knowest all holy shrines. War mightily against our master sin, that to thee we may offer our highest voice, bowing before thee. This section of the Books of Hidden Wisdom, beginning with the words: “By the Master”,—is the only Upanishad written in verse. And what magnificent verse it is, in the original; full of deep rolling music, and fire. Such sonorous melody as no translator could hope to recover, in any modern version. Only from the original can one realize the splendor and majesty of this mighty hymn; and, reading it again and again, one gains the conviction that it is the hymn of some grand ceremony of the Great Enlightening, in the strong days of old, in the heart of some long-vanished race. For this is another feeling that grows on one, after long study of the Upanishads: that they do not rightfully belong to the cycle of Indian thought which begins with the Vedic hymns, and passes through Manu’s laws to the ornate and overburdened imagery of the Puranas. In the Upanishads, the whole tone of life and thought, of intuition and aspiration, is quite other than that of the Veda and Purana cycle; even though the Upanishads are now reckoned among the Vedas. And, in the Upanishads themselves, very outspoken contrasts are not lacking between their own way of wisdom and the ritual way of works. The prayers of the Vedic hymns are for “sons and grandsons of a hundred years”, for “cattle and horses and golden wealth”; it is true, indeed, that a second meaning has been given to these prayers, in accordance with the wiser ideals of the Upanishads; but it is far from certain that this deeper meaning ever rightfully belonged to the Vedic hymns. But the deeper meaning of the Upanishads,—the true wisdom of the Self, the ideal of the divinity of life,—is by no means doubtful or to be doubted. The whole tenor and purpose of the Upanishads is the bringing of the Great Enlightening, by the clear discernment that the individual Self is but an aspect, a ray, of the Self everlasting; that the self and the Self are, and were ever, one. In one remarkable particular the discrepancy between the Vedic hymns and the Upanishads may be pointed out. It seems certain, though this has been more than once contested that nowhere in the hymns of the Rig Veda is the doctrine of perfection through the cycle of birth and rebirth, and again birth and rebirth, clearly and unmistakably taught. But, in the Upanishads, this knowledge of birth and rebirth is quite clearly and unmistakably taught, again and again; and a valuable study may be written on this, with passages taken from everyone of the great Upanishads. The doctrine of “what befalls a man, on going forth”, of the life or the lives after death, in the hymns of the Rig Veda, seems to be this. He who “goes forth” is lifted to paradise by his good works,—by due performance, that is, of the ritual and sacrifices of the gods, and his dwelling in the heavens is dependent on a like due performance of ritual and sacrifice on the part of his Sons and grandsons, so that he who had no son to offer sacrifice for him at the yearly festival of the dead, fared but meanly in the heaven-world. And after this somewhat precarious paradise, wherein a man’s well-being depended not on himself nor on the excellence of the law, but rather on the favors of a whole world of gods,—favors to be won by the regular rites of his grandchildren to the ninth generation—there is nothing, as we have said, in the Vedic hymns, to show clearly and beyond contradiction, that the man came again to a new rebirth, on the ever advancing path of perfectness. In this matter of rites and sacrifices lay hidden a great danger; a danger to which, it is to be feared, the people of India did in some sort succumb. For, where there are rites, there must be the arch-ritualist,—the priest; and where there are sacrifices, there must be those “who eat of the leavings of the sacrifices”, and thereby are put to temptation to make the sacrifices ever richer and more frequent; so that, though the gods receive much, much may still remain for their servants. 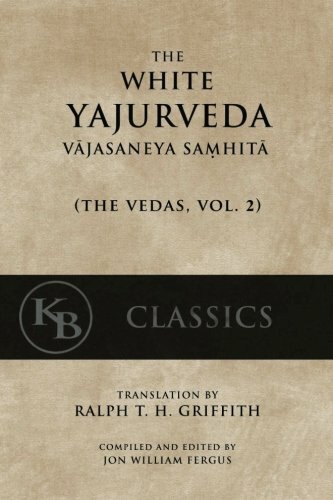 Therefore it may perhaps be a heightened and almost exaggerated way of stating what is nevertheless in the direction of the truth, to say that the popular doctrine of India—the doctrine of the Vedic hymns, of Manu, of the Puranas—came more and more to be the doctrine of the exaltation of the ritualist, till he who was a Brahman by birth only, and not by enlightenment, was declared a little higher than the gods, while for his well-being and good pleasure all other beings, including his less favored fellow-mortals, came merely into dependent and subservient life. If the doctrine of the popular Indian cycle was this—the exaltation of the Brahmans, through their intercession with the gods,—then the hidden doctrine, the doctrine of the Upanishads, was, and is, the doctrine of the exaltation of man universal, by the Great Enlightening; by the radiance of the shining Self, that wraps us into the divinity of life. These are but a few of the reasons, in their entirety almost absolutely conclusive, that the Upanishads did not originally belong to the popular Indian cycle in which they now find a place, but are rather a heritage, a rich heirloom, from another age, another race, perhaps another language. It may be a rash speculation, but there is much in the Upanishads to make us think that they were not originally composed in Sanskrit, but have been translated from another and an older tongue. To this conclusion, many reasons point; not least among them the quality of the Sanskrit of the Upanishads. And one main characteristic of this quality is the quaint admixture in the Upanishads of verse and prose; as though the pen or tongue of the translator had at times but a halting command over his material; as though at times the divine breath failed him, and he sunk helpless into unmetrical prose, the music and melody of the great original proving too strong and grand for his partial powers. Then there are passages, standing now altogether in prose,—as for instance the last sections of the famous teaching to Shvetaketu—which maintain the strictest character of strophe and antistrophe, albeit in prose, with a chorus falling regularly though no longer metrically, at the end of every passage. There are other indications: queer, rough sentences; uncouth words and phrases; licences of metre, and faulty verse; all pointing in the same direction, and leading us to think that we are reading, not an original, but a translated work. Be this as it may, the Upanishad beginning: “By the Master” is, even in its present state, altogether faultless in form; and, as we have said, a magnificent piece of verse, a mighty hymn full of music and fire; equal to, or greater than, the splendid hymn to Life, taught by the Vedic Master, in the Upanishad of the Questions. The suggestion has been borne in upon us, after much study, and we have repeated it here, that this Upanishad “By the Master” is the hymn of some grand mystery of the Great Enlightening. And what we have studied of the Upanishads during the last year will have been studied to little purpose, if some insight has not been gained into what the Great Enlightening is. This ideal of the Great Enlightening, as every other ideal of the Books of Hidden Wisdom, is best to be understood, perhaps, by keeping clearly before us the idea of the three manifest worlds, the three lives, the three selves, the three fires—for all these names are used again and again; three worlds manifest, and the fourth, ineffable, hidden, encompassing all. We have already written of the three worlds: the habitual world, the mirror world, the real world; of the three selves: the physical self, the emotional self, the intuitional self; of the three lives: the beast life, the man life, the god life. But in the Upanishad “By the Master” the figure oftenest used is the splendid and graphic figure of the three fires; the three flames. In one sense the lowest and outermost of the three flames is the lurid, ruddy flame of passion and desire; the expression of the lower emotional world of lust and hate; the expression of the beast life, not in its primitive innocence but mirrored in self-conscious sensuality. This ruddy flame is baser than the flame of vital life, that warms and glows, “of the color of the household fire”; baser than it and yet in advance of it, because of later development. The warm glow of the “household fire” of vital life, is the expression of the natural, uncorrupt animal, physical self; the fire that warms the outward, habitual life of the body. Then above these two is the flame of the divine fire, the luminous, the shining, of the color of the sun at noontide; a fair golden light that rises up within the heart, and shall in due time lighten every man that comes into the world. Each of these three flames has its fitting vesture of contrasted nature; and all the three are modes—each entirely right and holy in its due time and season—modes of the unchanging Light of the Eternal, the everlasting Shining. If you wish to understand the teaching of these “books of hidden wisdom”, identify clearly these three flames; or rather, the three modes of nature they represent. For the three flames are but a simile, a picture, a visible representation; a mythical presentment of an actual truth. There is first the “household fire”, the flame of vital life; the sane and vigorous energy of the body, expressed by an old simile made new again, in the words “a glow of health”. This fine glowing energy would, if it were not impeded, mould every form in such keen perfection as to make of every man an Apollo; of every woman a goddess. But this healthy flow is impeded by the disturbing outbursts and conflagrations of the ruddy flame of lust and hate; like the scarred lightning tearing the black clouds to pieces, and hurling the terrors of storm across the bewildered sky of night. Yet in time the red lightning flashes of passion wear themselves out by their very vehemence. The black clouds become thinner and gradually translucent; and at last in the faint east, comes the first pale glimmer of dawn. The clouds part a little, and let through the first promise of dawn. Again and again the clouds may close together, leaving not light but merely the faint remembrance of light; but at last will come the sunrise, and then the perfect noon-day; the great Shining in the clear blue sky; and there, they say, the sun rises, and yet sets not; but rests perpetually in mid-heaven, marshalling its rays, and sending forth its perfect light. This is the mystery; a sunrise, but no sunset to follow, for ever and ever. This is the Great Enlightening; foreshadowed by the first faint gleam in the heart, so pale as to be hardly a shadow of the coming light. This faint gleam of dawn comes with the first act of selfless generosity; of high, self forgetting valor; of love that seeks not its own. It is, as a wise man said, “the god-like voice that stops me even in very little things, if I am about to do anything not rightly”. Then begins the real, strong epic of life, after the sad tragedies of passion, the hurtling terrors of the lurid fire. The real life begins with the first faint dawn of that inward life, that gleams across the darkness of the heart; who will venture to tell of its continuance, in the world “at the back of the heaven”, the world the seers tell of? In this hymn of the Great Enlightening, there is a faint fore shadowing of that grand reality, which will one day make the heart of every man to sing with gladness. The faint dim light within is to grow brighter and brighter, till, spreading outward from the hidden place of the heart, it enwraps the whole world, and there is nothing but the light everlasting. Thus the master-light must grow, until it covers all things, whatever restless thing there is in the world. And for the life of the self is gradually substituted the life of the Self; by this renouncing thou shalt enjoy, and come into thy kingdom. This Self is above and within all; the elder and younger brother alike; the Master of the masters; the divine and everlasting One. Stirring not, this Self goes swifter than mind; for this Self is the only eternal and divine reality, everywhere throughout the wide Universe; and mind, the later born, can go nowhere without finding the Self already there. Then again, the very courses of mind are but a mode and energy of that same Self, that thus fulfils one part of its destiny, by the manifold activities of mind. And again, this Self, as the pure intuition, the inner sense of the trueness of things, has already, from ages back, reached all conclusions truly, not by restless strivings, as of the mind, but by its own inherent all-wisdom. This the bright ones, the powers of knowing and of acting, reached not; for they are as its hands and eyes, and the hands and eyes cannot know the true inward secrets, of the heart, to which, nevertheless, they give expression, as its ministers. Though standing, this outstrips the others running, and through this Self, in the beginning of the coming forth of things, the Great Breath—the potent will that things should come forth—spread forth the waters of shining space, the luminous fields where all that was to be should come into being. This moves, for there are all beings and all their lives; this moves not, for within all is the eternal peace. This is afar, for beings have forgotten it to their sorrow; and yet near at hand, for the divine life is ever ready to be remembered. This is within all that is, for all that is rests on the divine Self alone, on the Eternal. Yet it is without all that is, for all lives apart from it, if added together, would not even begin to make up the Self, the Eternal. And he who verily beholds all beings—my other selves—in this Self,—my own divine Self; and he who beholds the divine Self in the other selves, thereafter blames none anymore; for his other selves will no man blame. And in whom his own divine Self has become his other selves—what sorrow remains for him? Thus, we may imagine, on passing over the threshold to real life, and joining the company of “the dwellers on the other side”, the new-born enters into the light, and learns of the Self that is peace. For he who is not born again shall in no wise enter the Kingdom. But the Self is not peace only, for besides rest there is restlessness. The Self is not light and wisdom only; the Self is also power and will, the builder of the worlds, and the circling ring of the birth and rebirth of lives. This Self, the will, the causer, circled round bright, bodiless space, his own first-born; and circling, this wise Seer ordained all lives rightly through the ages, willing thus to teach eternal lessons to his own lesser selves. For it is the divine Self in us that ordains our lives; there is no chance or accident anywhere, but order and wisdom even for moats and feathers; all go by law and not by luck. And it is this divine Self that brings our other selves together, without hazard or chance at all, and what the highest has joined, wide earth shall not hold asunder. Then again, if the picture we have called up of this teaching of the Great Enlightening be a true one, we may believe that the new-born to the real life is made to look back once more to the clouds below. They go forth into blind darkness—the words echo to him—they go forth into blind darkness who follow after unwisdom, and choose the dearer rather than the better: the most sanative, though the bitterest lesson in life. Yet take courage, through this bitterest lesson; for when the other selves come once more together in the sunlight, these sorrows shall but give cause to the mirth of the celestials, as when one has dreamed of desert exile, and wakes to find himself with the beloved. They go, as it were, into greater darkness who follow after wisdom; for the light of the wise is blank darkness to children,—that light “at the back of the heavens,” dark only through excessive brightness. One thing, they say, comes through unwisdom; for through unwisdom is the painful learning, the weary path, sad separation and loneliness and sorrow. Another thing, they say, comes through wisdom, for this is learning’s prize, the triumphant goal, the lasting union, sorrow’s crown. He who has understood unwisdom and wisdom, separation and union, sorrow and joy, through unwisdom passing through death—for what is death but separation?—through wisdom reaches the immortal, the lasting joy of union. The real world is hidden by a shining veil; but the sunrise of our uniting comes, the veil of shining mist is lifted, the warm rays of union fill our hearts once more, and in that day it will be well with us. The life to Fire; the wandered self back again to the great heart of warmth; and the perishable body of sorrow once more to the immortal union. O Sacrifice remember; what thou hast done, remember. O Sacrifice remember; O works remember. As far as the original shows, there is nothing to decide positively between the two versions; in the latter, the sacrifice and the works are more vividly personified and addressed; in the former, the words are addressed to the new-born, who has passed from “death” as a living sacrifice. In reality the two senses are identical, for the new-born is the sacrifice; the man is his works. What difference is there, for him beholding oneness only?